This pose is always done on the left side (to support the lymphatic, digestive & circulatory systems of the body). Push your back into the couch so you’re snuggled in tight & make sure your left shoulder is in front of you rather than under you (so you’re lying on the shoulder blade rather than shoulder head). 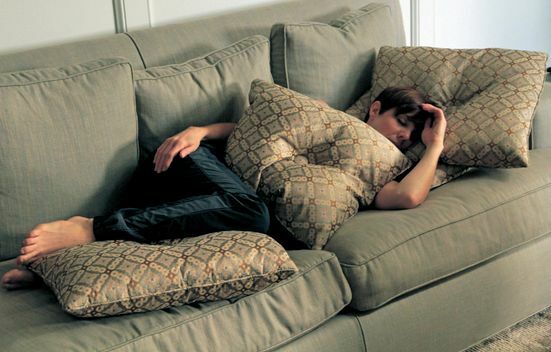 Put pillows between the legs, under the head and in front (so you have the option to hug something). Cover yourself up. And cook for at least 20 minutes. Yum.